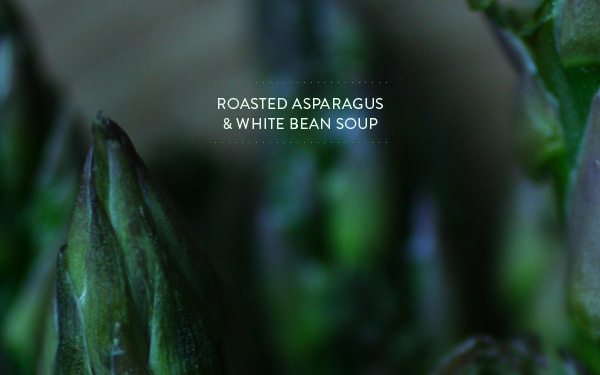 White beans and asparagus are a perfect match. I am always looking for new ideas for using white beans and potatoes, since I nearly always seem to have both hanging around my kitchen. This one seems like a winner! I tried both ways as well. Completely different and both really good. Thanks for picking a great recipe! Great pick! This was delicious and very tasty, a great recipe that comes together fairly quickly and easily. i have to make this! i was thinking that the blended version would have been more up my alley too - creamy and springy! beautiful photos and great recipe choice! Thanks for making a great pick! 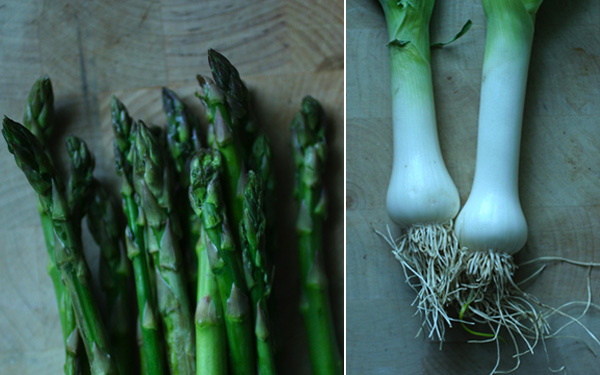 I'll definitely be making this every year when asparagus is at its peak. This recipe reminds me of vichyssoise... Really makes me wish I did it the way Bittman instructed but I didn't have all the ingredients it called for. :( Next time... Your soup looks super delicious! It is indeed a perfect spring night soup! I can't wait to try this! I am out of town this week and unable to participate. I have never pureed asparagus, but this looks DEVINE. Great choice! I do love a velvety soup like this during spring. It's such a simple luxury. How have I not heard of this Food Matters Project before this?! Time to get cookin'! Such a great pick, Adrienne! I'm certain I would have loved the soup, but it's just too hot for soup around here. Sounds like everyone loved it! I really looked forward to this soup and was a bit disappointed that is was too hot for me to enjoy a soup. 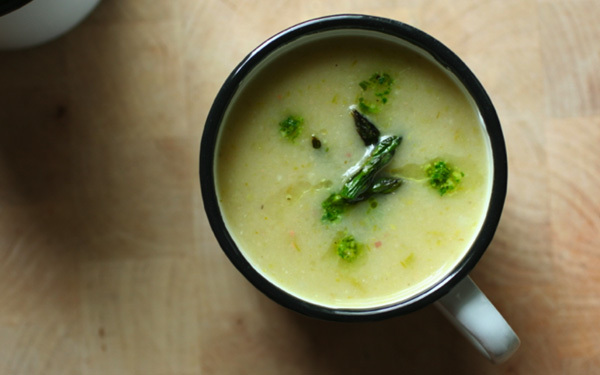 You make a lot of amazing soups. You inspire me to have more soaps during the day and to try more blends of vegetables. Thank you for encouraging me to improve my diet.